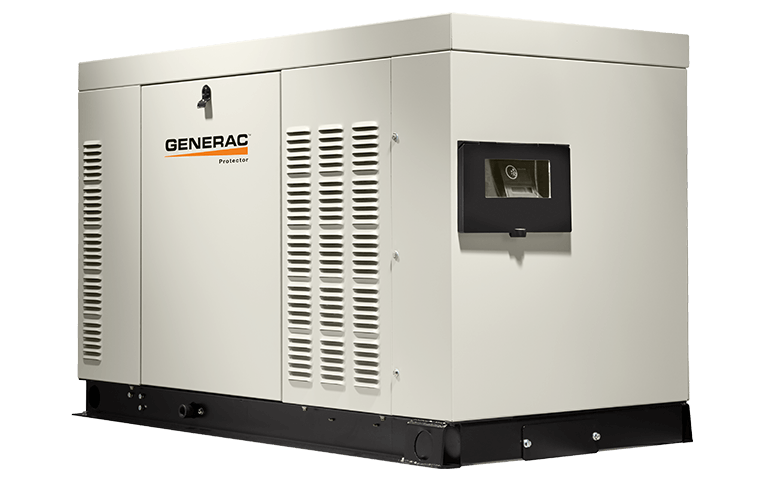 Alternative Power makes it easy for businesses in Raleigh-Durham, Greenville, Wilmington, or elsewhere in North Carolina to get the backup power system they need with a Generac generator. When you work with Alternative Power, you have access to the best in standby generators. We provide routine service, maintenance and repair to all generators, in addition to selling and installing Generac generators. When a storm hits, not having access to electricity can have serious consequences for North Carolina businesses. Loss of power for even a short time can end in thousands of dollars in lost revenue. Without electricity, security systems go down, refrigerated goods spoil, and customers are turned away. This series is suitable for commercial applications including gas stations and convenience stores, restaurants, schools, assisted living facilities and municipal buildings. This unit is powerful enough to provide full power protection for commercial applications, including gas stations, small stores, restaurants, schools and municipal buildings. These mobile generators are ideal for construction applications or emergency backup power for small businesses like convenience stores. The Protector Series features diesel generators with a set of popular preconfigured options, which ensures that your generator can adapt to a variety of codes for standby generators. To find out which commercial generator will best protect your business in North Carolina, give us a call at 919.467.8001 to set up a no-obligation, no-cost consultation. At your consultation, we will assess your business’ backup power needs, then provide you with a recommendation and a quote. From there, you can move forward and have our factory-trained technicians install a Generac generator, then purchase a service contract so your business will be prepared for the next power outage. Alternative Power sells and services commercial Generac products in cities and towns including Charlotte, Winston-Salem, Greensboro, Raleigh-Durham, Fayetteville, Goldsboro, Greenville, New Bern, Morehead City, Wilmington and surrounding areas in North Carolina.